Item # 307008 Stash Points: 2,195 (?) This is the number of points you get in The Zumiez Stash for purchasing this item. Stash points are redeemable for exclusive rewards only available to Zumiez Stash members. To redeem your points check out the rewards catalog on thestash.zumiez.com. 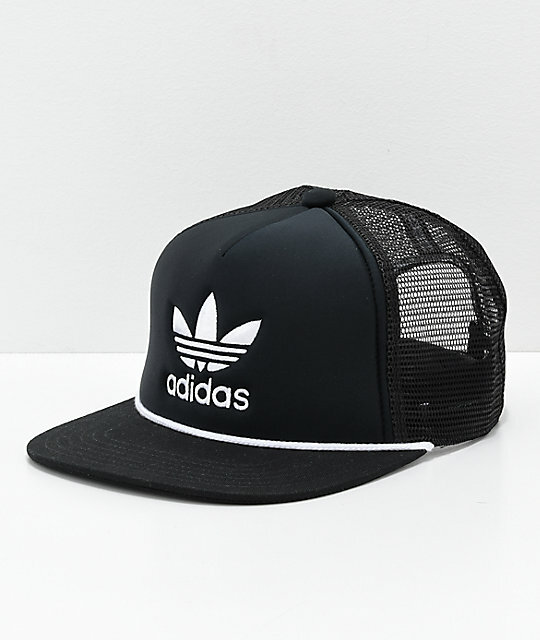 Complete your daily outfits with premium athliesure styling with the Originals Trefoil Black & White Trucker Hat by adidas. This black and white truker hat features a classic Trefiol logo embroidered at the front with a white rope detail and is complete with a snapback sizing piece for a personalized fit. 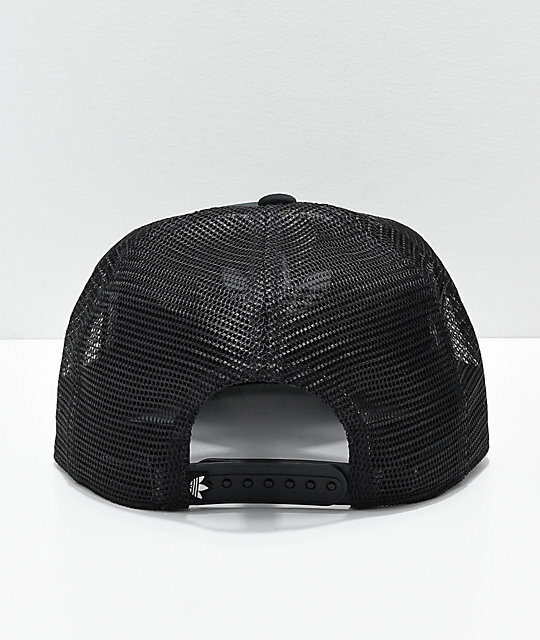 Originals Trefoil Black & White Trucker Hat from adidas. Embroidered Trefoil graphic on front crown. 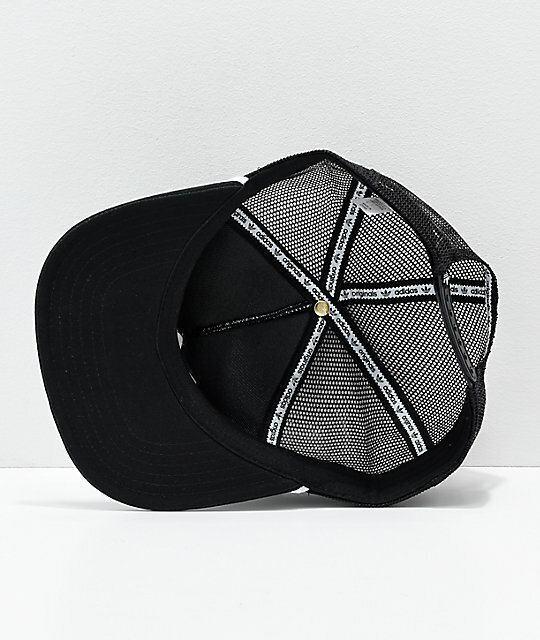 Classic trucker hat silhouette with solid front and back mesh panels. 56% polyester, 40% cotton, 4% elastame.